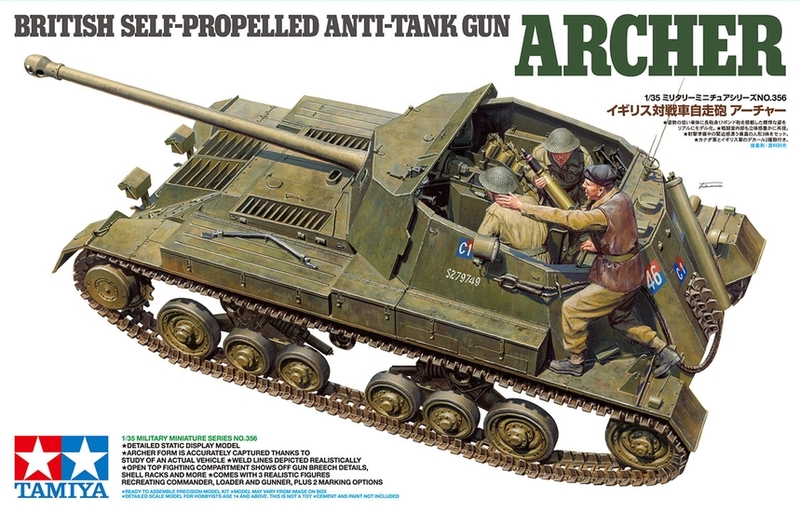 This model assembly kit recreates the British Army’s Archer. As WWII progressed, British troops found that their 2-pounder and 6 pounder guns were being rendered obsolete by German armor, and planners decided to develop a vehicle using the powerful 17 pounder (76.2mm) gun. 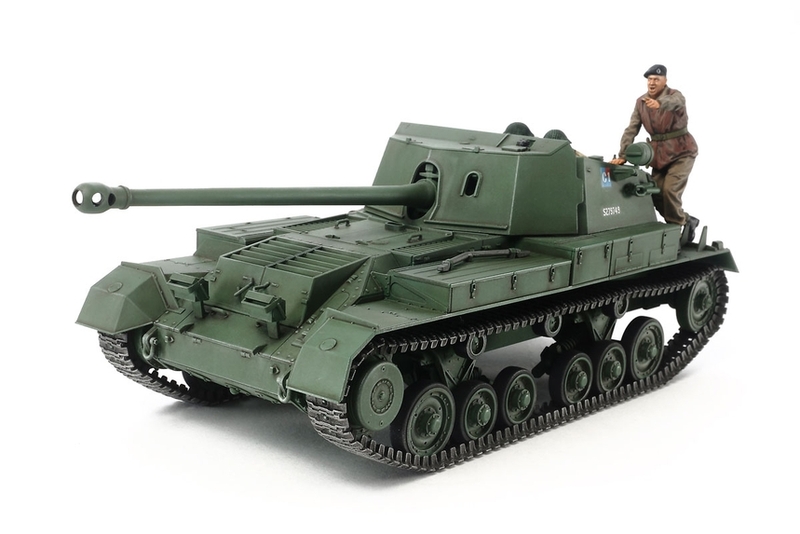 The vehicle chosen to mount the gun on was the Valentine; the turret was removed and replaced with a fighting compartment – this would be known as the Archer. Interestingly, as there was little time to re-organize the cramped layout, the 17-pounder had to be mounted pointing rearwards to fit it in. As a result, the Archer moved and fired in opposite directions. It offered strong performance, however, and served with British and Commonwealth units from October 1944 till the end of WWII, the British using it until the early 1950s. •	1/35 scale plastic model assembly kit. Length:191mm. •	Details include armor plates and realistic weld lines. •	The powerful 17 pounder gun is depicted with excellent detail, including breech details. 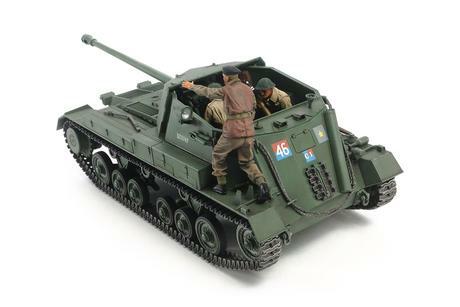 •	The open top fighting compartment showcases numerous other interior points such as shell racks and radio equipment. 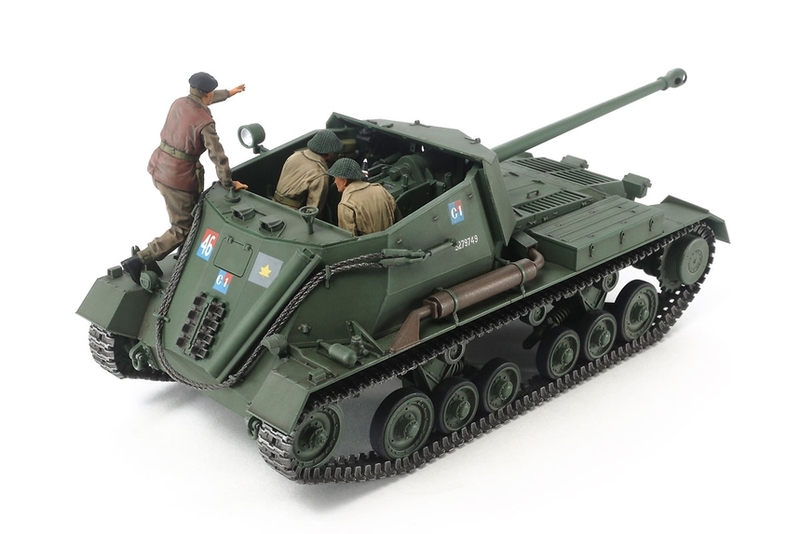 •	Comes with 3 figures to depict commander, gunner and loader. •	Marking options are included to recreate 3rd Canadian Infantry Division and Polish II Corps vehicles.